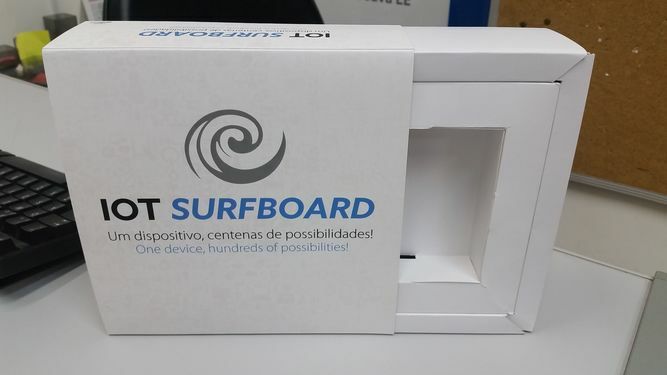 IoT Surfboard is a complete device with sensors, actuators and connectivity that helps you explore the Internet of Things allowing you to read data and control home appliances via network. 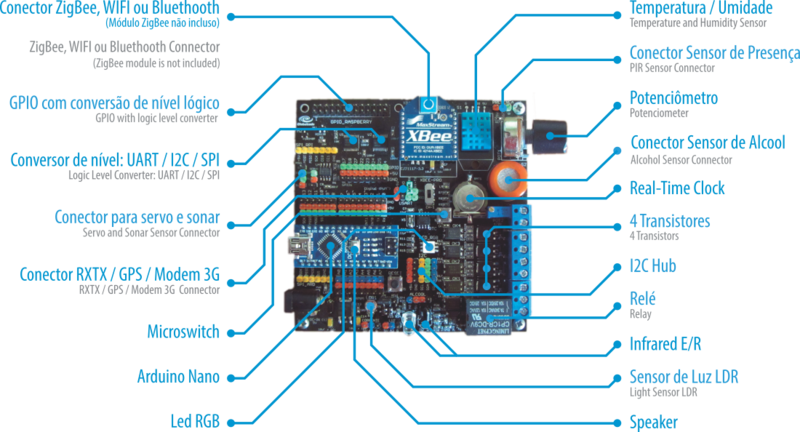 A perfect device for learning the basics of Eletronics and Arduino, how to use sensors, programming, robotics, home automation, explore the Internet of things and much more. A set of sensors and actuators that allows you to teach the basics of eletronics, engineering, programming, and even fashion courses since the wearable computing is becoming reality. There are several possibilities of customizing the sensors, creating code to extend the functionality through its various connectors so you can develop functional prototypes to validate your ideas and test your product. 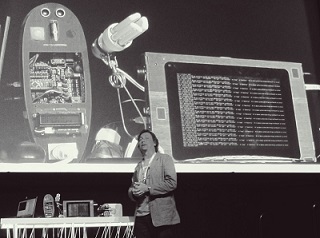 The IoT Surfboard was created and tested to be used in real and commercial products. You can create your prototype with the board and afterwards we can customize a special edition containing only the components you need. The IoT Surfboard is plug-and-play, once connected via USB to your computer, Raspberry Pi or Intel Edison you can quickly write your programs using different programming languages to read sensors and control actuators such as relays to turn on and off your home appliances or office equipments. The IoT Surfboard comes ready to use with all components in it and also loaded firmware for easy access to all of them. We are creating several online courses for you to learn how to use your IoT Surfboard for the Internet of Things and also several tutorials, webinars and posts about that. The local community will have access to the first 125 boards sold now in October and early November. Several people are already starting to create their projects, teach others and creating the IoT Surfing Community. The crowdfunding at Catarse to enable the project was a success! Soon you will be able to buy the kit that will enable your journey through the Internet of Things in the best do-it-yourself style. You will still have classes with the creators of the project, to understand and get started with your IoT Surfboard.